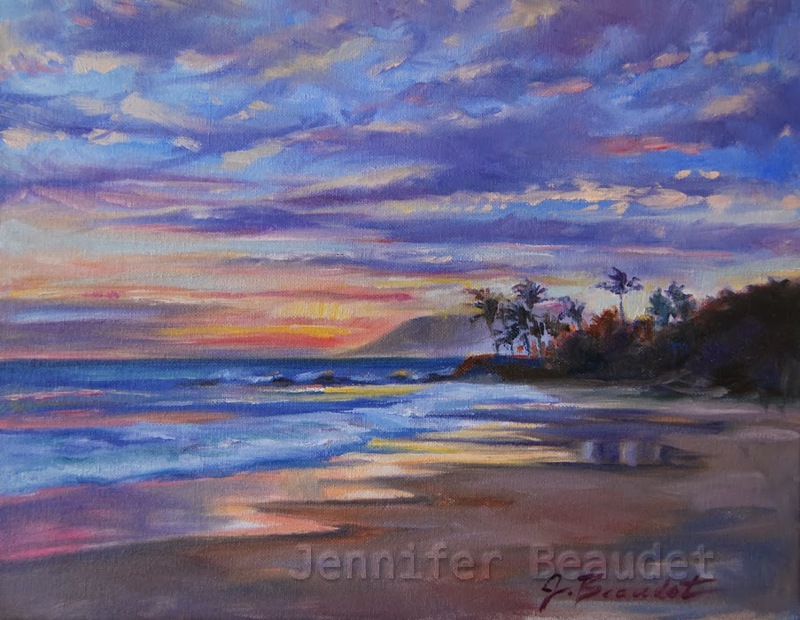 Jen Beaudet Art: Busy Painting! up to. I'm practicing sunsets because they've kind of scared me until now. It's a lot harder than it looks! my figure paintings series. This painting sold the first day I posted it! I'm so grateful to be busy! I usually post my paintings on my Facebook page before anywhere else and would love for you to follow my page! It's J Beaudet Studios. Happy painting and thanks for all your +1's on Google. Thank you Sheila! I'm happy about being busy. It's not always that way. :) I'm planning on practicing more on the sunset and skies in general!